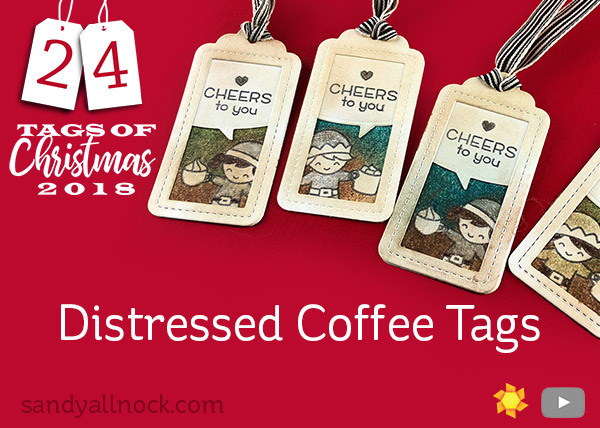 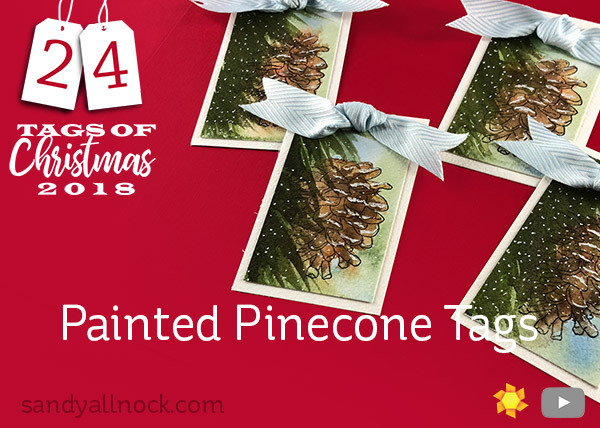 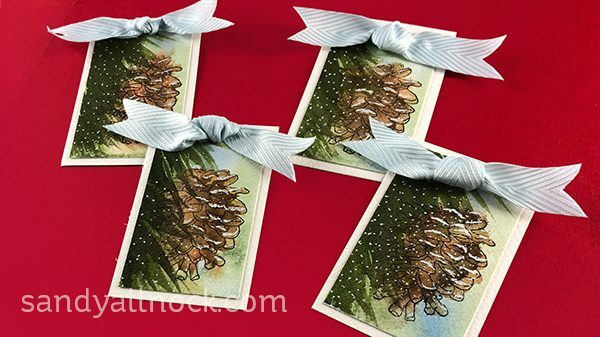 Just because a stamp comes with certain elements doesn’t mean we need to stick with them – and in this video, I’ll show you how I edited the stamp and added the pine bough to the Hanging Pinecones stamp set from Impression Obsession to make these luscious tags! 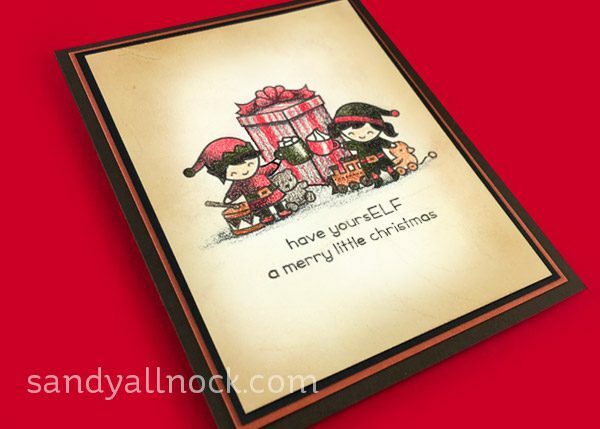 Watch the video below or click HERE to see it in HD on YouTube. 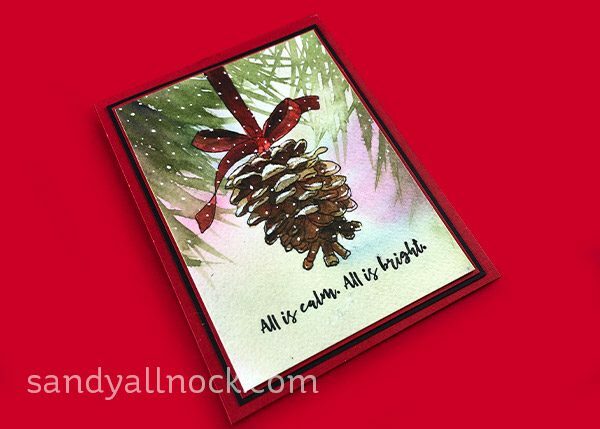 For the card I stamped the whole image – and increased the contrast and detail in the pinecone. 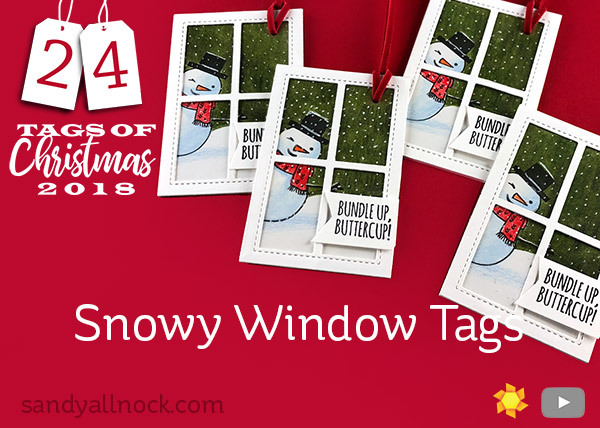 I added snow on the tops of some of the little parts, and the background was done the same way as on the tags! 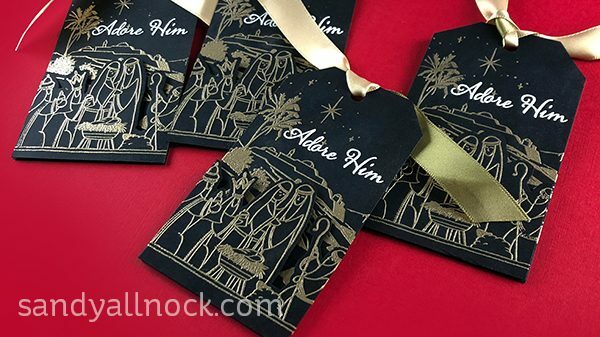 These are an unexpected kind of tag design – little mini pieces of art to tie to a package! 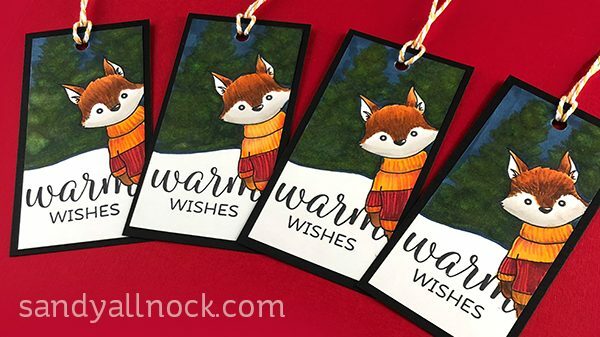 The cute Warm Wishes Fox from Honey Bee is peeking into the scene on the tag – and I think that makes him more playful than just standing front and center, don’t you?Watch the video below or click HERE to see it in HD on YouTube. 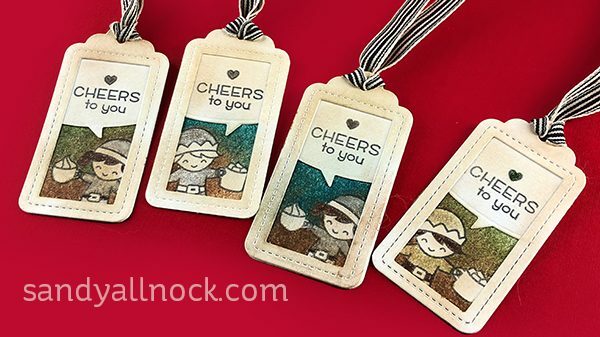 Cute little additions to the giveaway, don’t you agree? 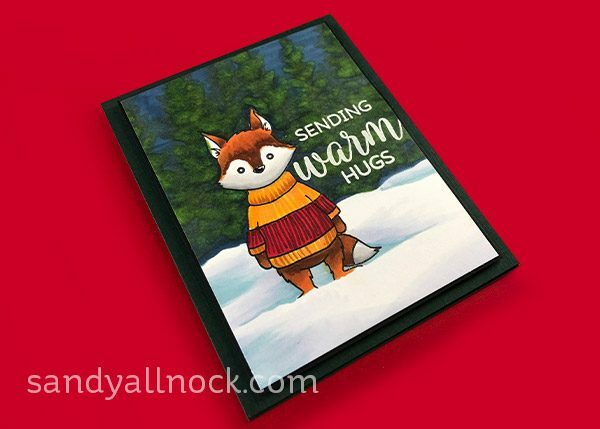 Got to love a little fox! 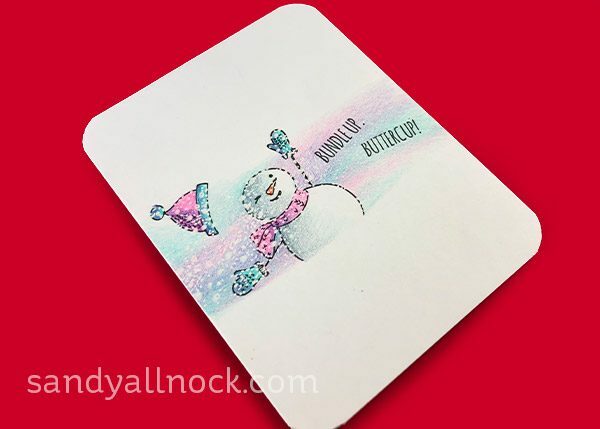 I usually have some coloring – but not on this video! 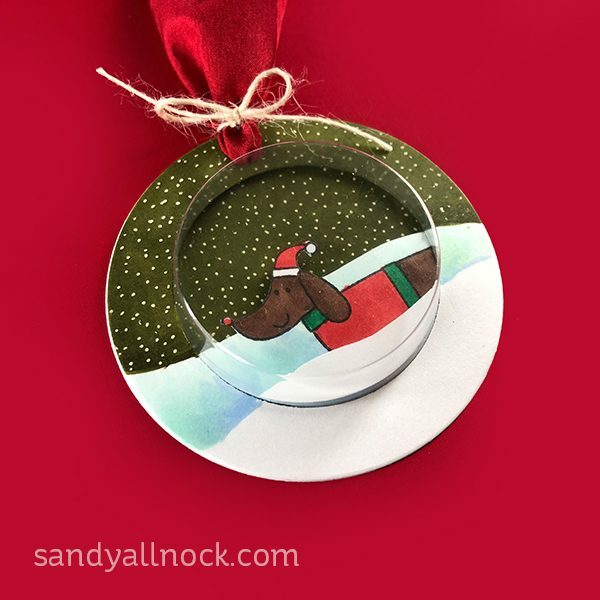 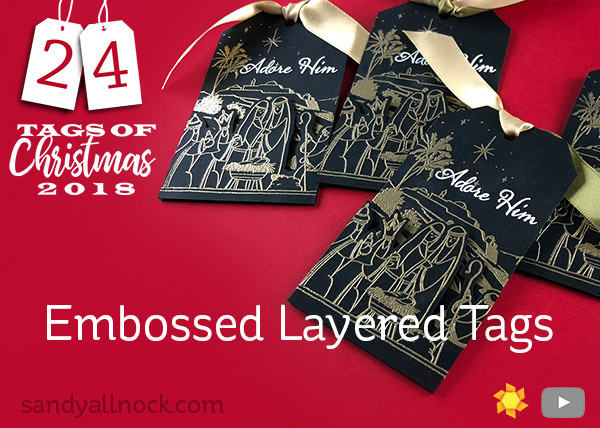 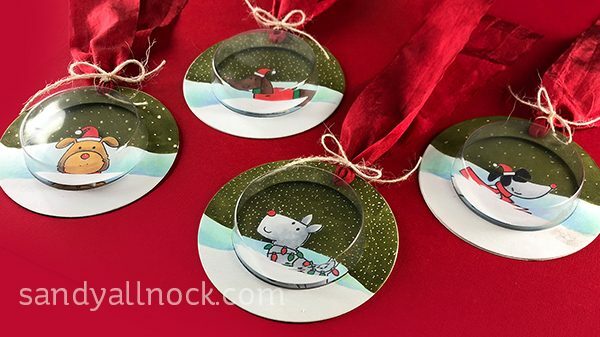 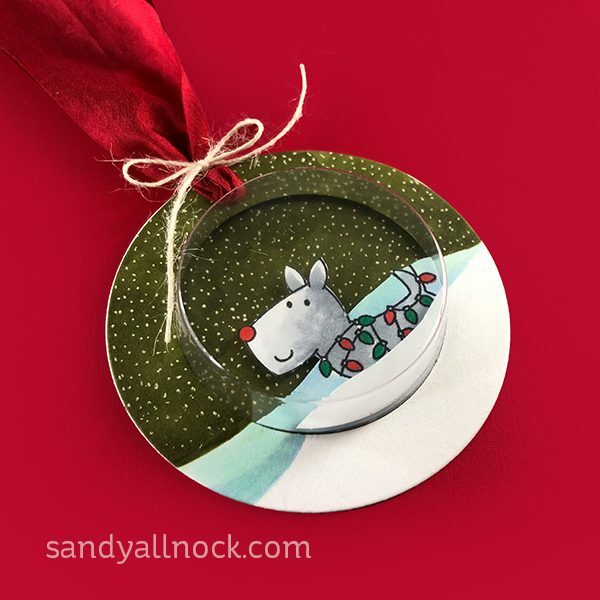 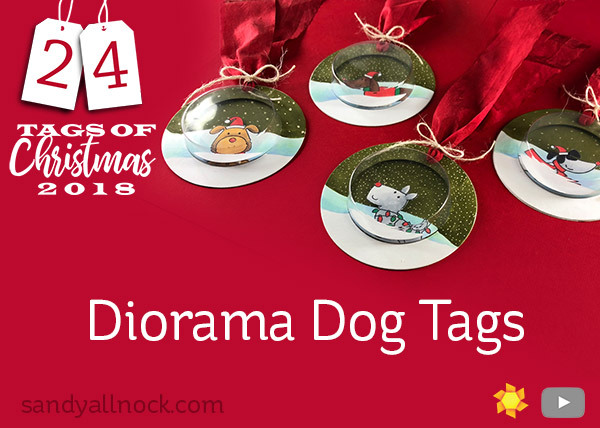 This set of tags relies on an extraordinarily beautiful stamp set called Lighting The Way from Penny Black – and I created the scene with two of the stamps in the set plus a little fussy cutting! 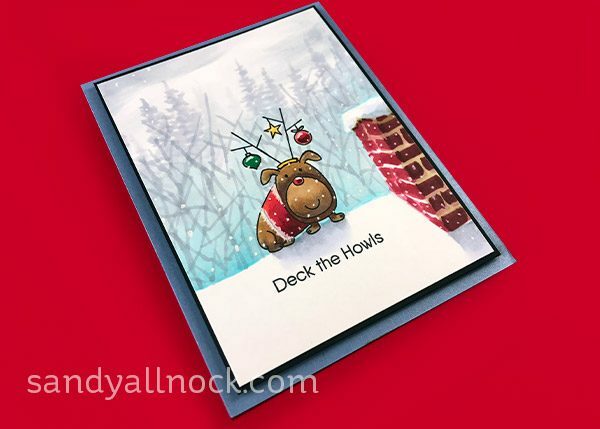 Watch the video below or click HERE to see it in HD on YouTube. 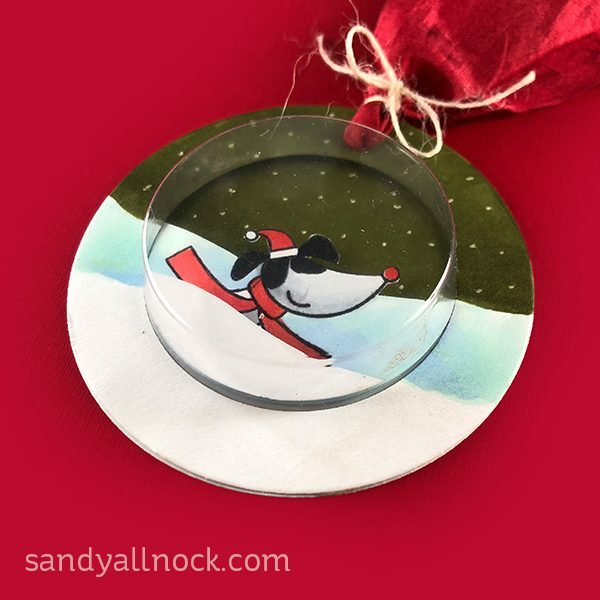 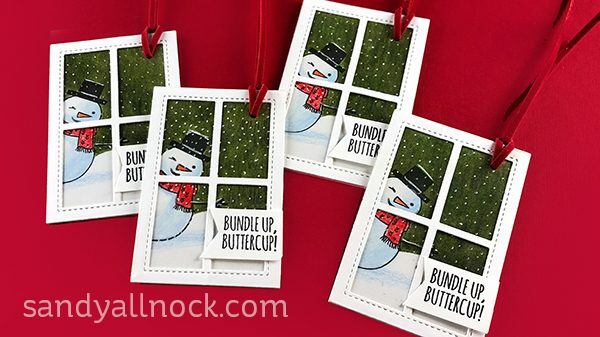 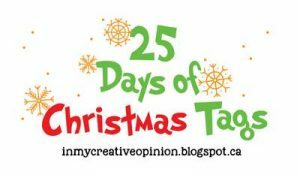 The card was made in the same way as the tags – even down to laying the stamps out onto the cardstock to align them in the same way. 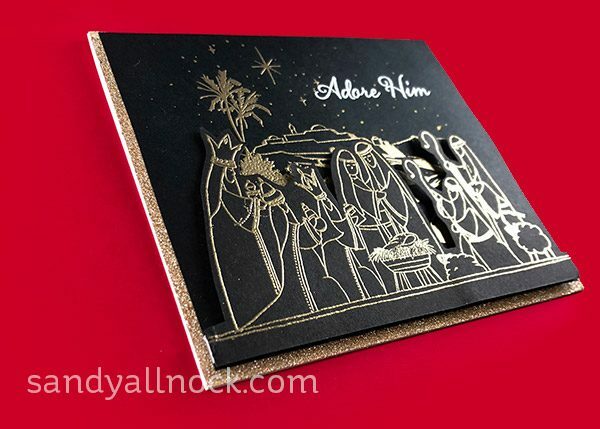 I also added more gold stars with a gold Uniball gel pen. 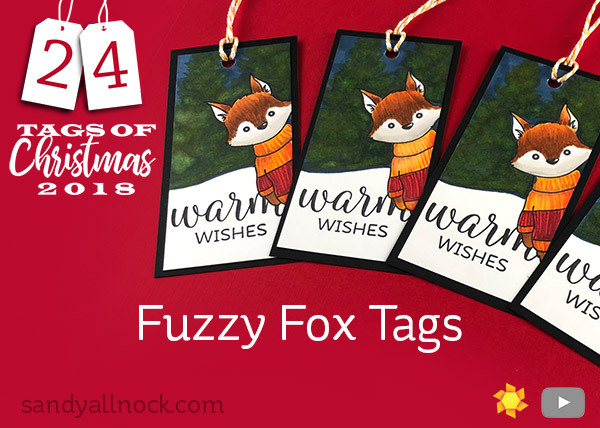 Lovely tags…they could even have a layer of your favorite gold paper behind them but I liked them just on black!